Published By – Chappell & Co. Ltd.
Side A published by Chappell & Co.
Side B published by Golden Withers Music. Both tracks taken from the album Menagerie. 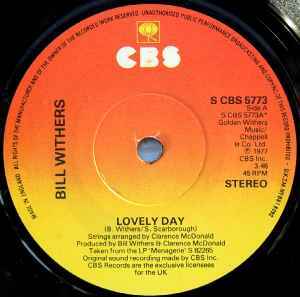 Different label design to Lovely Day.